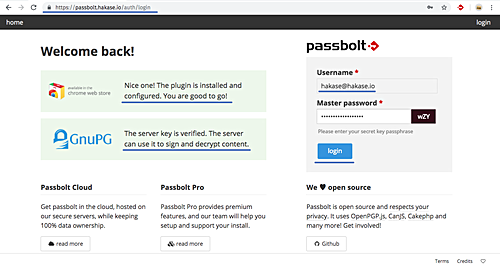 In this tutorial, we will show you step-by-step install and configure open source password manager ‘Passbolt’ on CentOS 7 server. 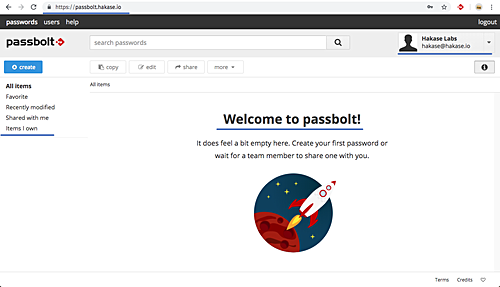 Passbolt is a web application developed with PHP, and we will run it under the LEMP (Linux, Nginx, MySQL/MariaDB, and PHP-FPM). 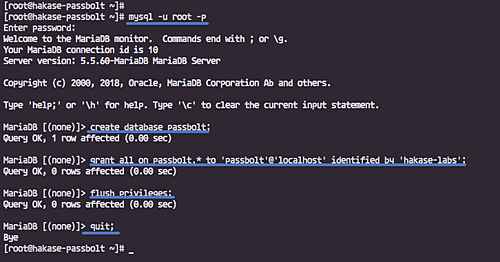 Now we need to configure the ‘root’ password for MariaDB. Run the ‘mysql_secure_installation’ command below. Next, login to the MySQL shell using the ‘root’ user. Create a new database and user named ‘passbolt’ with password ‘hakase-labs’, run MySQL queries below. The MariaDB server has been installed on CentOS 7 server, and the database for ‘Passbolt’ installation has been created. 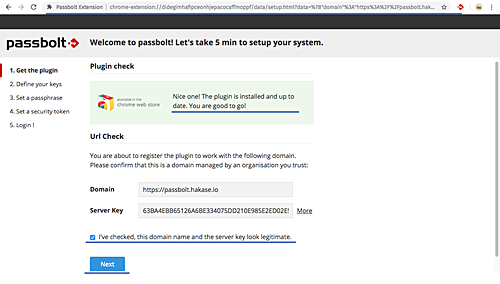 And generate SSL Letsencrypt for the passbolt domain name ‘passbolt.hakase.io’. And when it’s complete, you will get your certificate on the ‘/etc/letsencrypt/live/’ directory. Go to the ‘/etc/php-fpm.d’ directory and edit the default pool configuration ‘www.conf’ using vim editor. Change the default user and group to the ‘nginx’ user. Uncomment those lines below and change listen.owner and listen.group for the sock file to ‘nginx’. Go to the ‘/etc/nginx/conf.d’ directory and create a new virtual host file ‘passbolt.conf’. 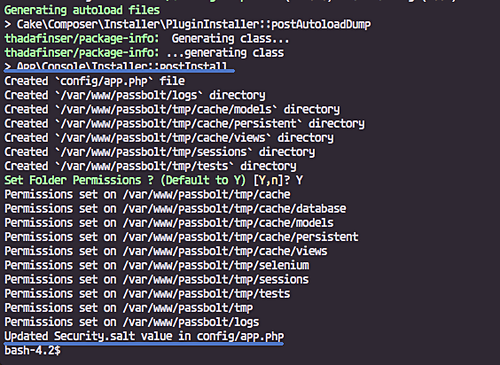 Go to the ‘/var/www’ directory and clone the passbolt web application. Now install the ‘haveged’ package and start the service. The PHP GnuPG extensions don’t support the OpenPGP Key passphrase, so let the passphrase stay blank. After it’s complete, check all key available and write down the ‘fingerprint’ of your key. Now export the public and private key to the ‘/var/www/passbolt’ directory. And change all those keys permission and owner of the ‘/var/www/passbolt’ directory. Before installing all dependencies for ‘Passbolt’, we need to initialize keyring of gpg key for nginx user. Now login to the ‘nginx’ user and go to the ‘/var/www/passbolt’ directory. When it’s complete, copy the default config file of the app and edit it with vim. In the ‘App’ section, change the domain name with your own domain name. In the ‘Datasources’ configuration, type your details database info. Under the database configuration, add a new ‘ssl’ configuration to force all connection to secure https. And lastly, paste the ‘fingerprint’ of your OpenPGP key and uncomment those public and private configuraiton lines. Now install ‘Passbolt’ using the command below. You will be asked to create a new admin user and password – type your details. And in the end, you will be given the ‘registration’ link, write it down on your note. Open your web browser and install the ‘Passbolt’ extensions of your web browser. Check the box on the bottom and click the ‘Next’ button. Now you will be asked for creating a new key for the user. 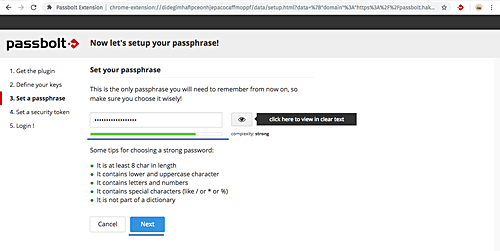 Setup the ‘Passphrase’, type your strong passphrase. Click ‘Next’ button. Backup your key by pressing the ‘Download’ button and click ‘Next’ again. For the security token, leave it default and click ‘Next’. Type your ‘Passphrase’ and click ‘Login’. And you will see the Passbolt user Dashboard as below. 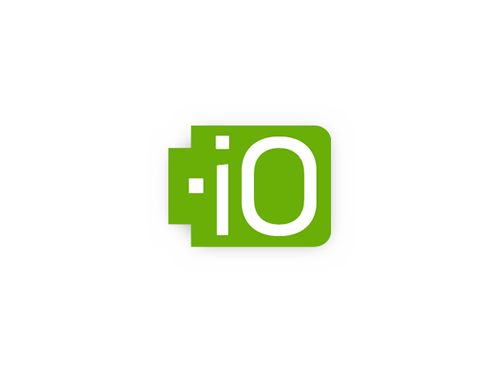 Permission for the ‘Passbolt’ webroot directory.